You have practiced well! Congratulations! Aloha and e komo mai (welcome)! 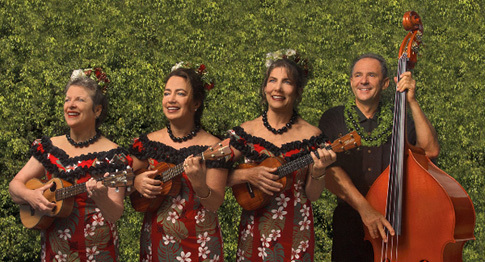 a 4 piece ukulele band specializing in traditional Hawaiian music. Browse around, listen to our music, see some photos and learn about the individual members of the band, our history and the lineages through which we study. Like the dawn, Keaolani will refresh tradition with the elegance of old Hawai'i.